Portside looking forward towards the Mermaid Terrace. A night time look, atop the Pool Bar roof. Portside, looking aft from Lifeboat Station 2 at dusk. Starboard side looking forward from Lifeboat Station 11. Forward observation area looking port and the windows of the wheelhouse. 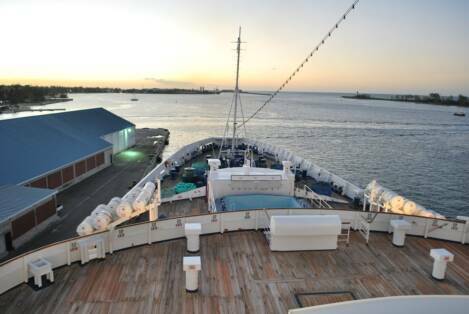 Looking aft from the fo'c'sle, the anchor windlass on Promenade Deck. 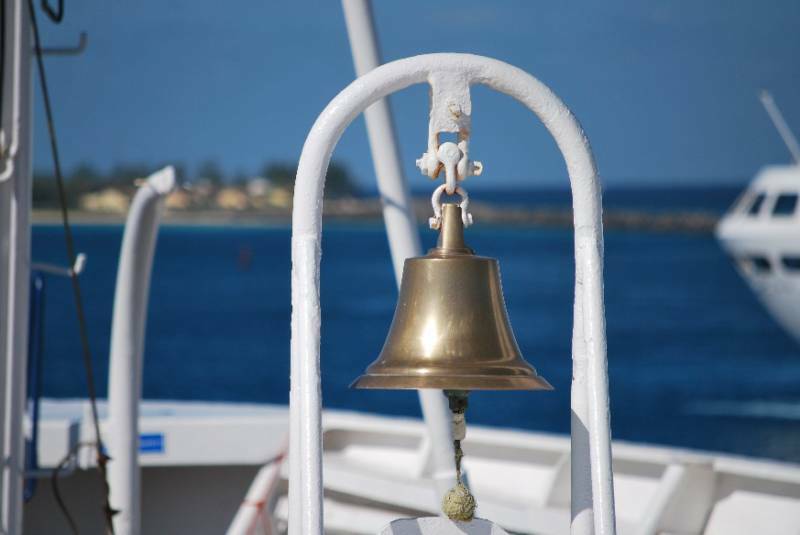 The ships bell at the bow, aft of the anchor windlass, and forward of the unused crew pool. 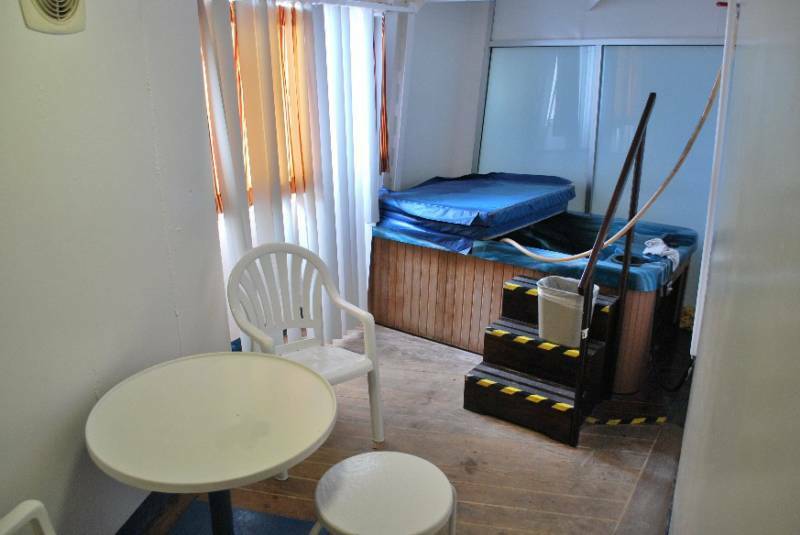 An inside, Veranda suite with Jacuzzi, Suite P-1. 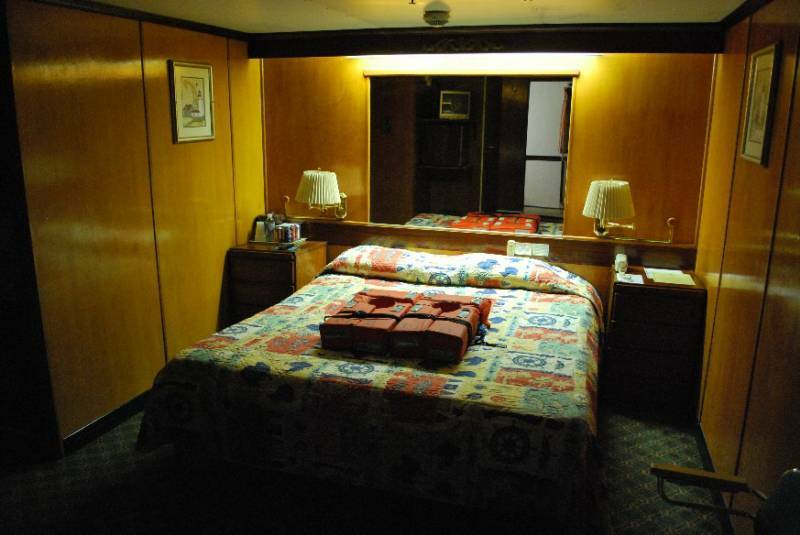 The Jacuzzi of P-1 looking starboard, this was once part of the enclosed Promenade Deck as it wrapped around the forward section of the ship. 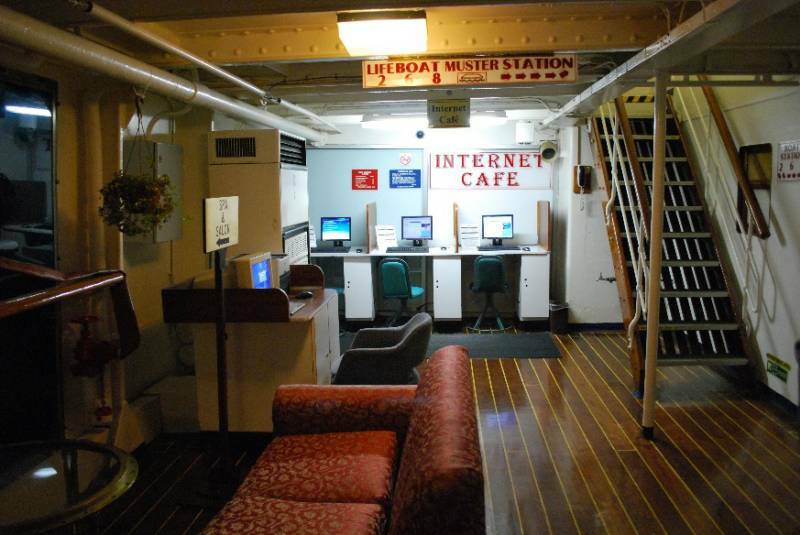 The Internet Cafe located on the portside of Promenade Deck looking forward. 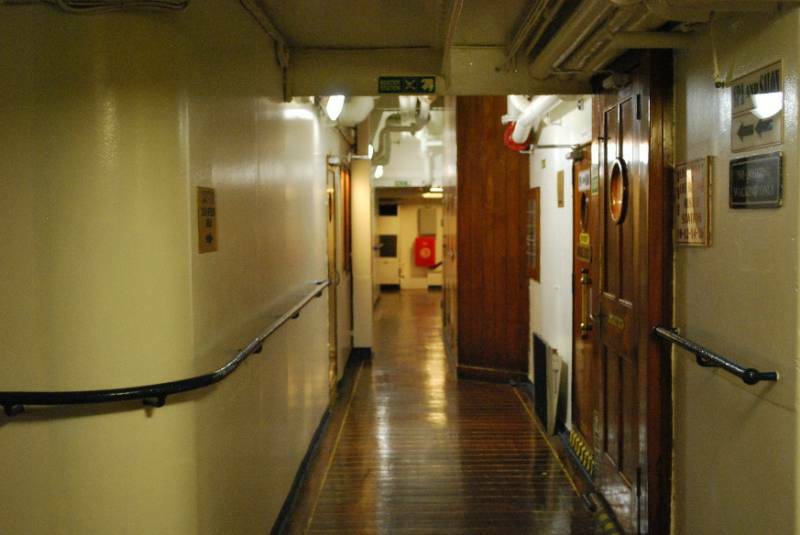 Promenade Deck behind the Internet Cafe looking aft. Shore excursion desk looking forward and starboard. Shore excursion desk looking forward from midships. The original incarnation of the Library circa. 1953. 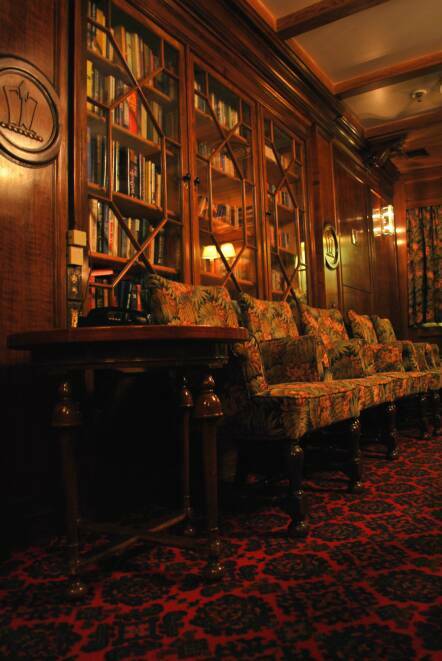 The Library remained virtually unchanged thru the history of the ship. This view taken in December 2008. 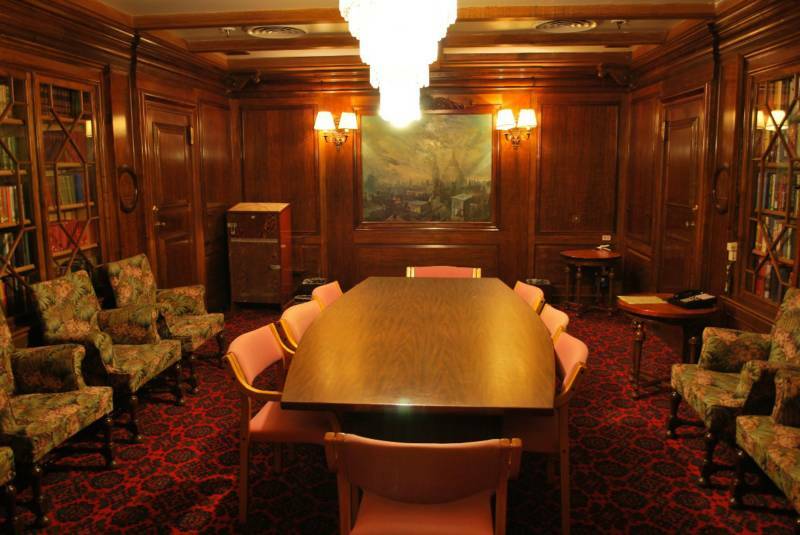 Looking aft from the portside on the right and starboard side on the left, gushing of splendid wood paneling. 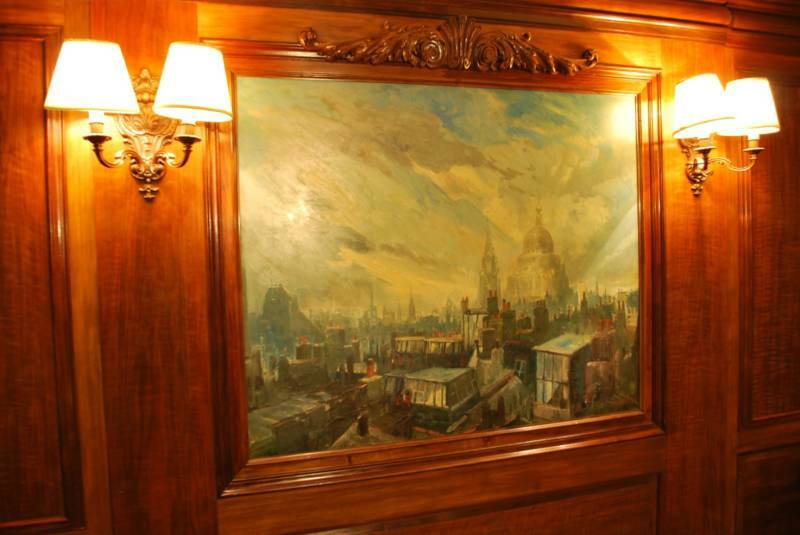 At the forward end of the Library was the Dickension painting by William Ware, flanked by two original cast iron sconces, surely both timeless items that was seen in the room. Further remnants of the Greek Line are found with one of four crests in the Library of the REGAL EMPRESS. 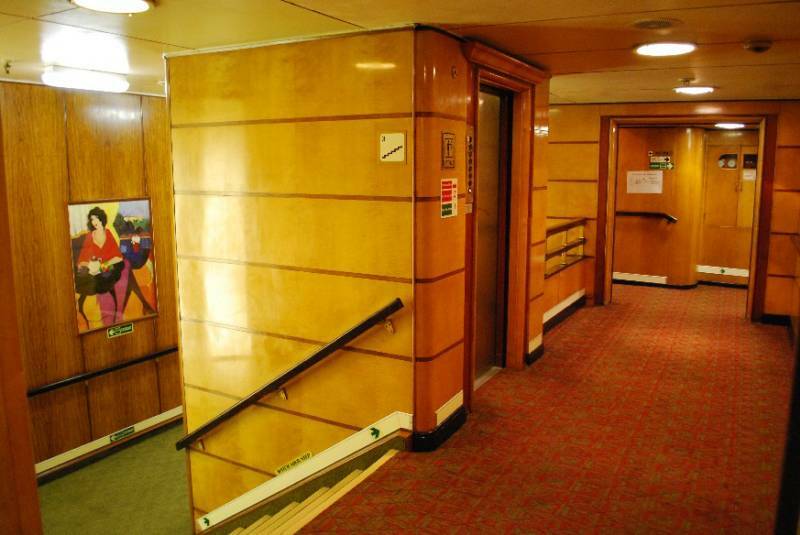 The former 1st class elevator and stairwell, looking starboard, leads down from the Suites on Promenade Deck to Upper Deck. 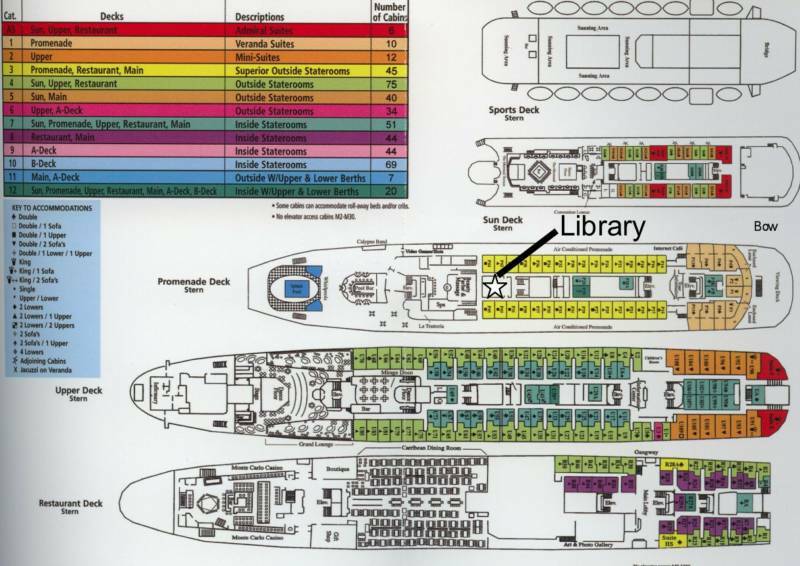 The vestibule seperating the Library as well as the Promenade cabins from La Trattoria, Photo Gallery and the Beauty Salon. 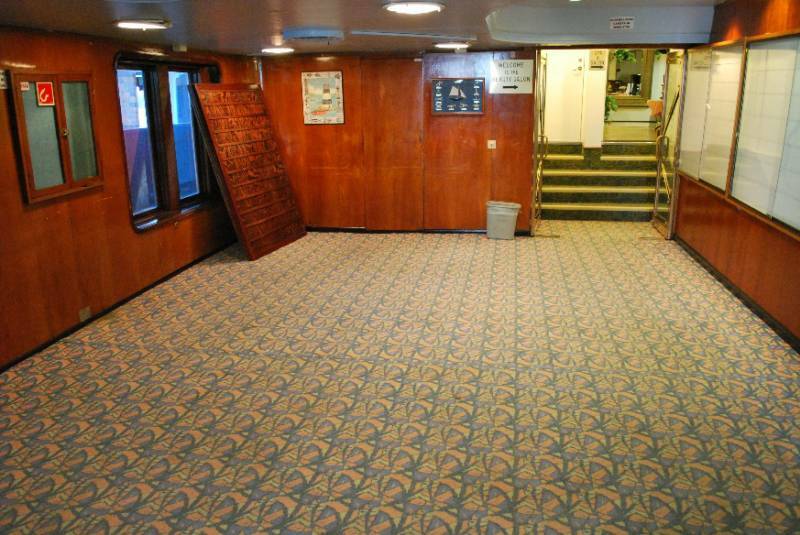 The Beauty Salon, part of the former two deck high Cinema onboard OLYMPIA. What remains of the balcony can be seen in the center of the photo. 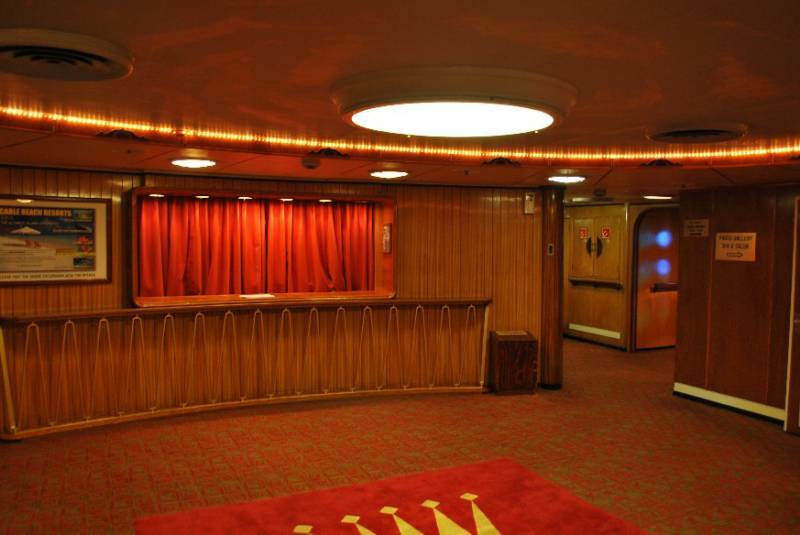 The Photo Gallery, formally the Card Room for REGAL EMPRESS, the door in the background lead to the Beauty Salon. 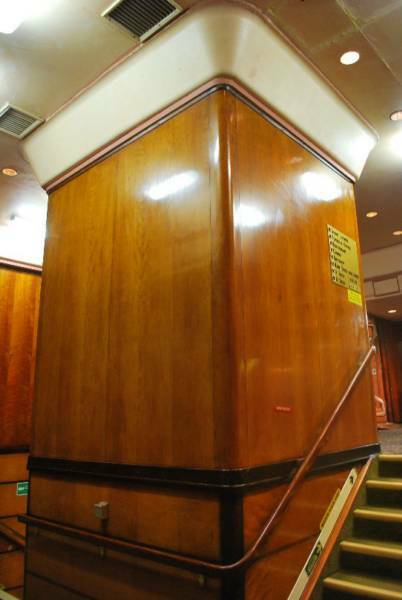 Outside the Photo Gallery one is greated with gorgeous wood paneling from the aft promenade stairtower. 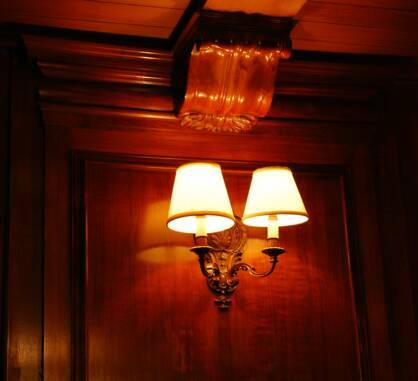 Some paneling found here came from space now occupied by La Trattoria located on the starboard side. 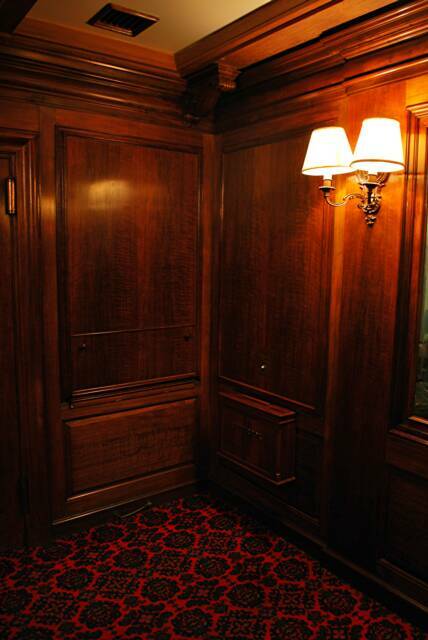 At that stairlanding was this elevator housing surrounded by original wood paneling looking aft. 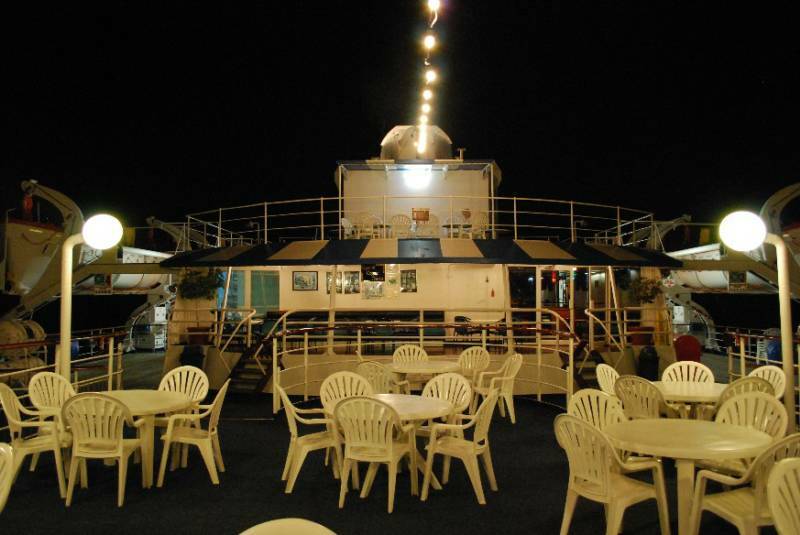 The La Trattoria looking port and aft. 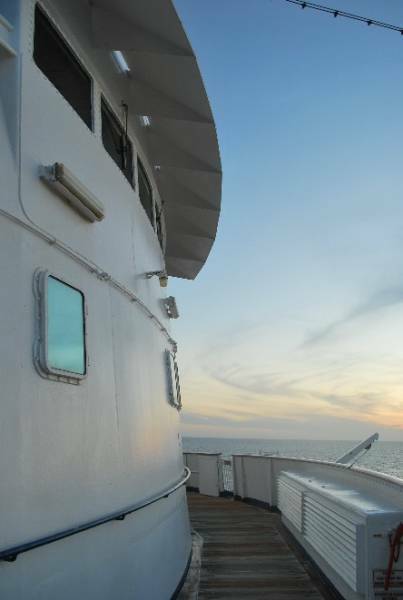 Looking forward towards a setting sun underneath lifeboat number 2 and the port side bridge wing. 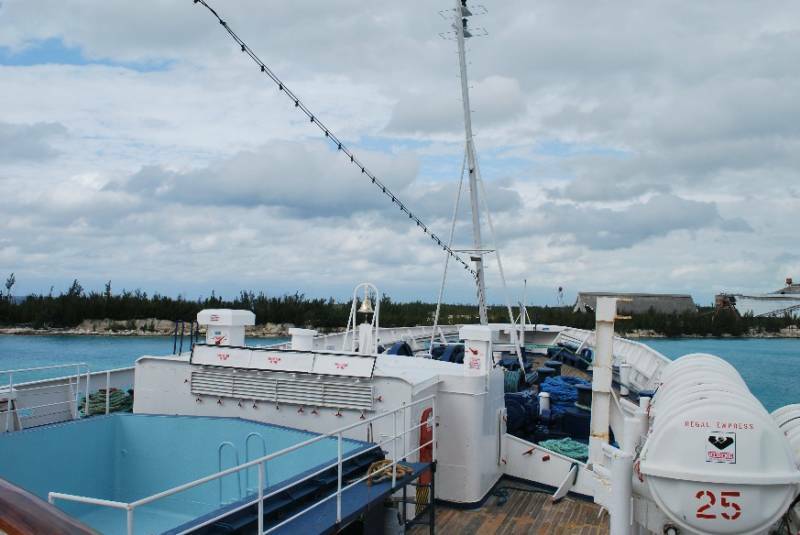 Casting off from Nassau as seen from the port side Bridge wing. 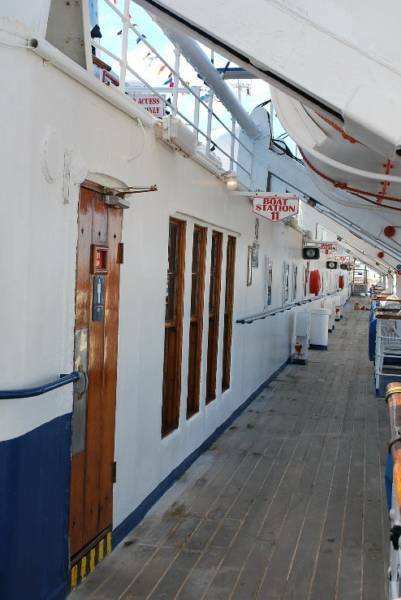 Below, remnants of the Commodore Cruise Line etched in the polished wood rails on the forward observation area of Promenade Deck. 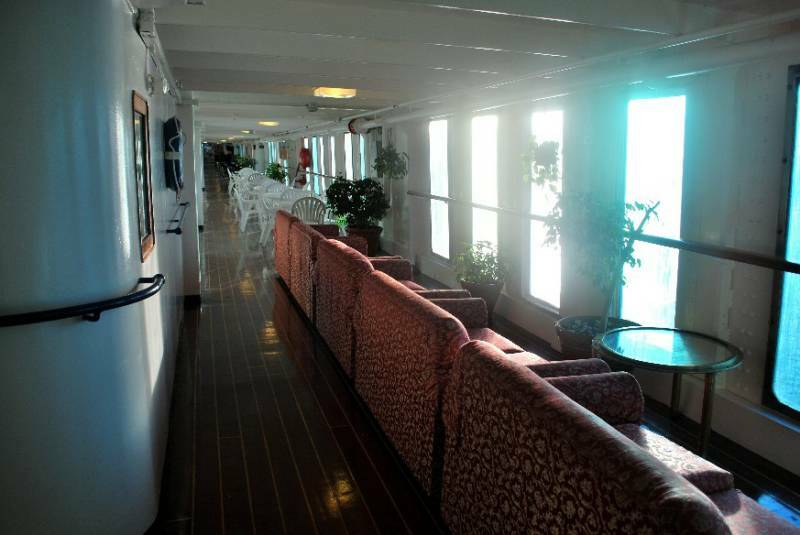 Passageways for Promenade Decks' Catergory 1 Veranda Suites and two Category 7 Inside Staterooms. 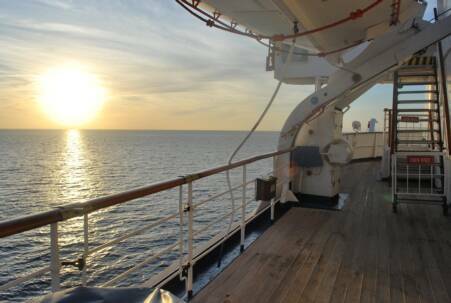 Just aft of the Veranda Suites and looking forward from the starboard side is this area beaconing with paneling. 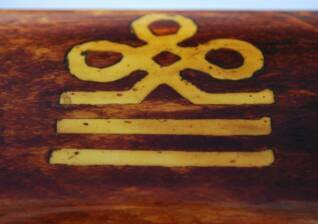 Directly across the painting was this lone cast iron sconce with carved mahogany piece. 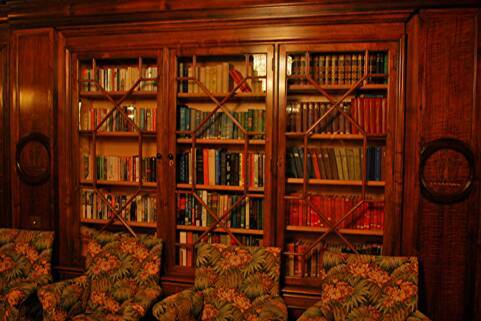 The bookcase, with crests on each side, features books that have been onboard since the begining. 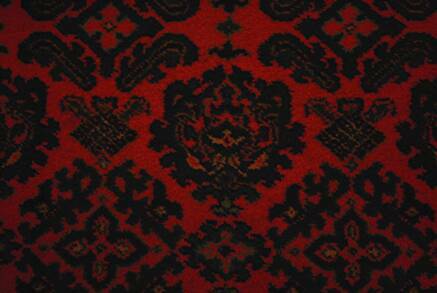 Random area rug shot and the surrounding patterns. The forward corner of the Library with beautifully carved woodwork, notice the mailbox in the botton of this corner. 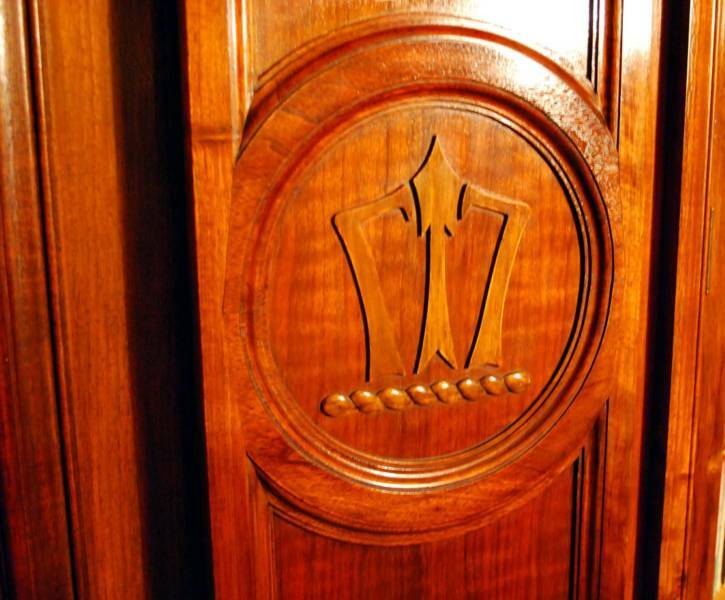 Down the stairs to the stairlanding leads to some dark magnificent woodwork. 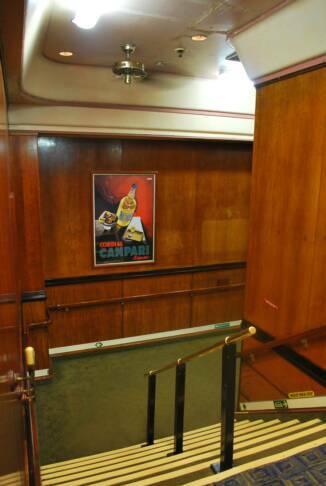 Inside that aft elevator hung this poster, a remnant of her Regal Cruise Line days. 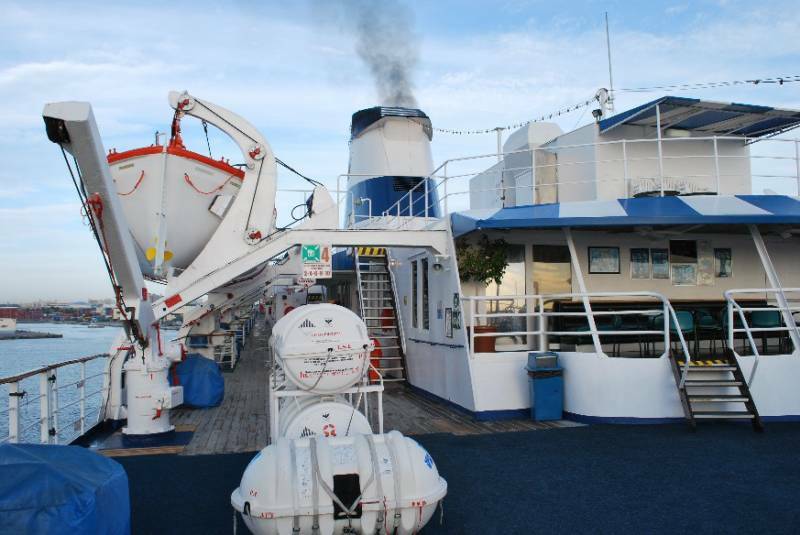 It luckily managed to stay with the ship even when Imperial Majesty Cruise Line operated the ship. 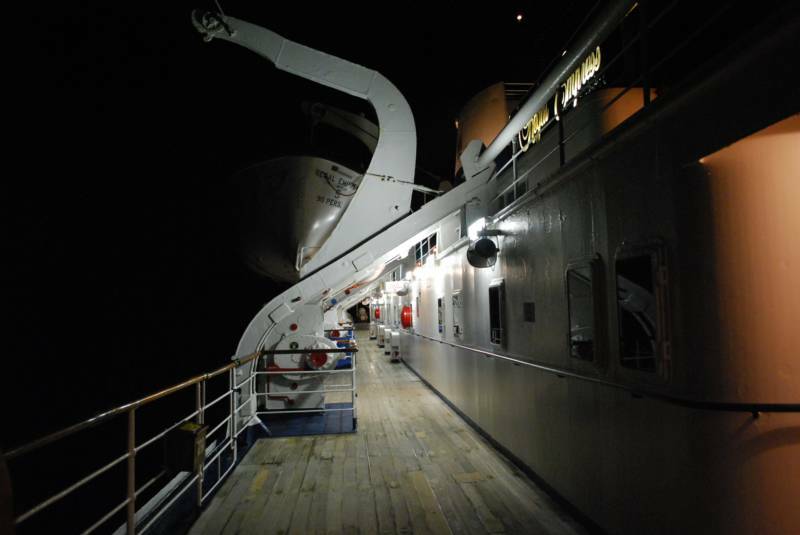 A nighttime view with lights aglow, a perfect time to take a stroll on deck and look at the stars.